Good news! Desktop wallpapers are back (and hopefully here to stay). It's been a long time I haven't stopped by here to write something, but I will now try to incorporate it into my weekly list of things to do. One of the goals I have for this year is to create some free things for you, and this desktop wallpaper is one of them! 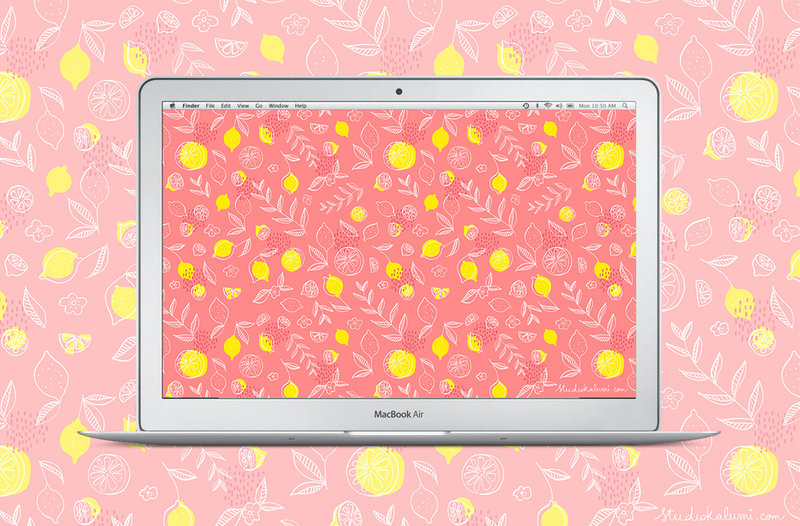 So for this month's free desktop wallpaper I wanted to use a pattern (how would I not), but I wanted a more minimalistic feel about it. And after playing a bit with the february pattern from my calendar I imagined them as trees and decided adding a small shadow (in Photoshop) and a fox - yes I am a bit obsessed with foxes lately. I hope you like this month's free desktop wallpaper! You can download it for your computer and for your phone below. Here comes the second round of free desktop wallpaper! I wanted something fresh and fruity this time, to add some bright colors to the winter. I hope you like them. Also, I am preparing a new tutorial on how to make a repeat pattern, taking my lemon pattern as example. I will release it soon! 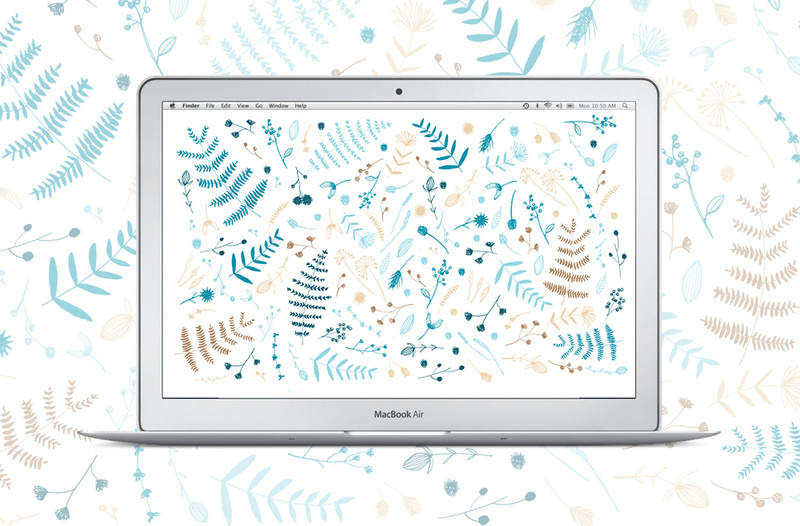 In the meantime, you can download and enjoy your wallpaper for desktop or smartphone here! I would be curious to know which one you prefer and what would you like as a subject for a next wallpaper freebie! Let me know in the comments. Today, I would like to introduce a new ongoing series: Desktop wallpapers downloads! For now, there are only 2 versions of a pattern you might already have seen in my pattern calendar, but soon there will be more! You can of course use them for your desktop computer, but also for your smartphone or tablet. You can download them here. I hope you will like them!